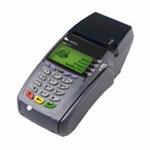 An internet gateway is the link between your credit card processing company and your website. How it works: an order is filled out and entered into your online shopping cart, the shopping card is programmed directly through your internet gateway or payment gateway which in turn send the information to your credit card processing company. This all happens in a matter of seconds. We work directly with Authorize.net for payment gateways and can help your business set up the whole process from start to finish configuring your payment or internet gateway to work with your merchant account.